Some botanists call them living fossils. Ginkgo biloba is the only species remaining from a Division of plants that went extinct thousands of years ago. It is one of the most primitive plants still in existence, but it thrives in urban environments. It tolerates pollution, some shade, and periods of dryness. Ginkgoes once inhabited much of the world, but the last ice age wiped them out everywhere but in China. Even there they are now extinct in the wild. Once you see one you’ll never forget it. The leaves are like those on no other plant. They are fan-shaped and most are split in the middle, hence the species name biloba. The tree got its common name, Maidenhair tree, because some thought the fan-shaped leaves resembled fronds of Maidenhair fern. Leaves are borne on rounded stem spurs. Fall foliage is a gorgeous golden color. 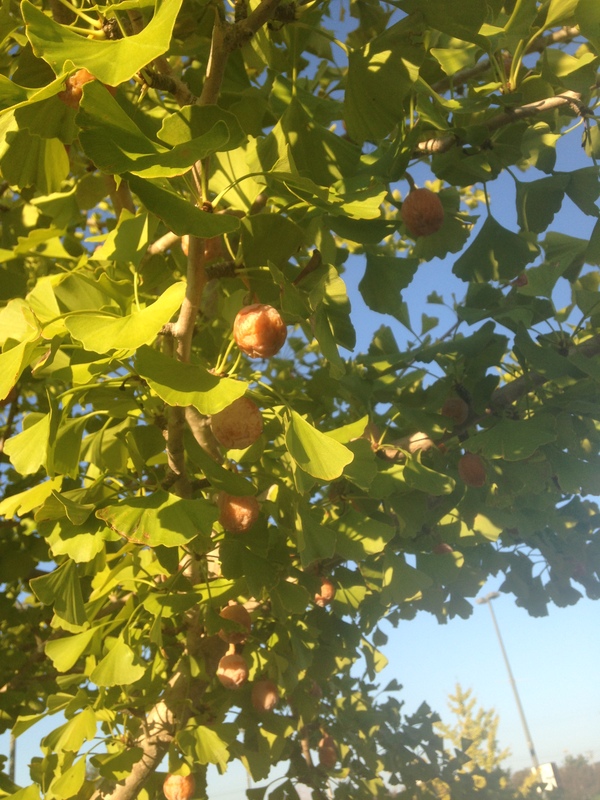 Ginkgoes are seed bearing plants but they don’t produce true fruits. 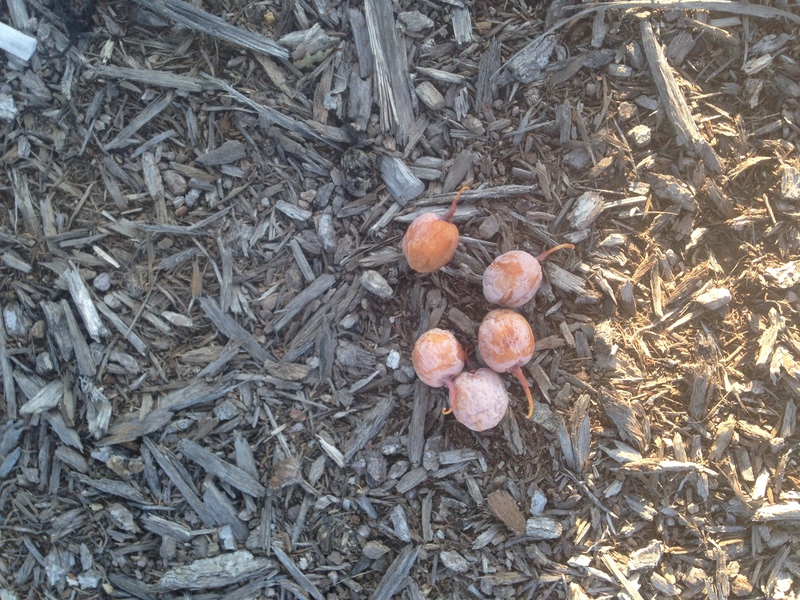 They have grape sized structures surrounding the seeds that resemble fruits though. Pulp is soft and similar in color and texture to that of a ripe wild persimmon. These false fruits are best avoided as they contain substances similar to urushiol, the irritant found in poison ivy, oak and sumac. These fruit-like structures are only found on some trees. 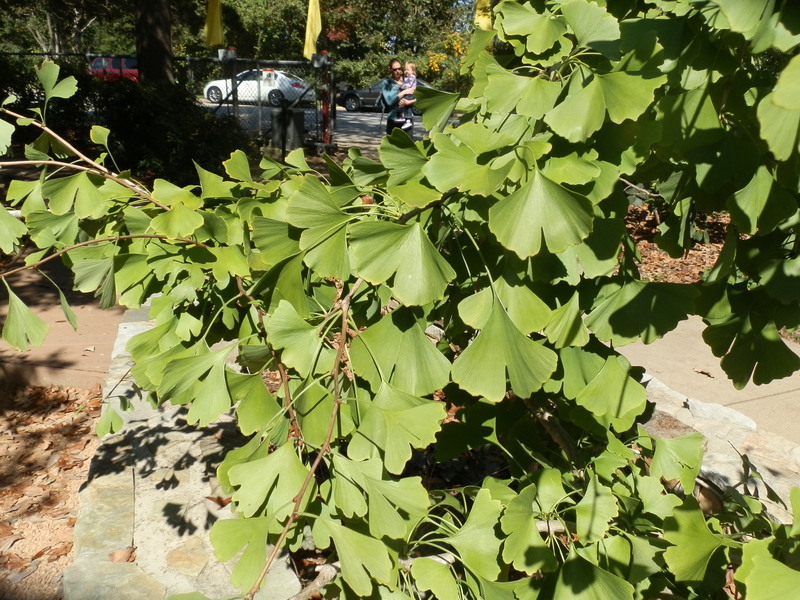 Ginkgoes are yet another one of those dioecious plants. Male trees produce no seeds, which makes them far more desirable for landscape use. Most ginkgo trees found in nurseries are now grafted as to eliminate the seed mess, which can be plentiful, unsightly and smelly. When fruits decompose they produce butyric acid, which is the product formed from rancid butter. Female trees are not all bad though. When properly processed the nutlike seeds are edible and a delicacy in Japan and China. They somewhat favor chestnuts. When it comes to herbal medicine ginkgo is one of the most sought after species anywhere. Ginkgo nuts have been found to reduce cholesterol. Seed and leaf extracts are routinely prescribed by herbalists to improve brain function. Many holistic preparations to combat Alzheimer’s contain ginkgo as a major ingredient. Additionally, much research is ongoing to determine ginkgo’s influence in fighting certain types of cancer. Antioxidant levels are high. However, eating too many seeds can be toxic to nerve cells and cause breathing difficulties, so don’t go hog wild. Ginkgo interacts with many common prescription and non-prescription drugs. Ibuprofen is a common over the counter anti-inflammatory medicine and it can slow blood clotting. Ginkgo does too, so taking them together liberally could cause bruising or internal bleeding. The same can be said for aspirin and many prescription blood thinners like Plavix and Coumadin. Ginkgo extracts can also negate the effects of Xanax, which is used to treat anxiety. The list of medications that interact with ginkgo is as long as my arm. Ginkgo draws miracle claims by some and warnings by others, but I’m more into its use for aesthetic reasons. They are adaptable, well-shaped, containable shade trees. 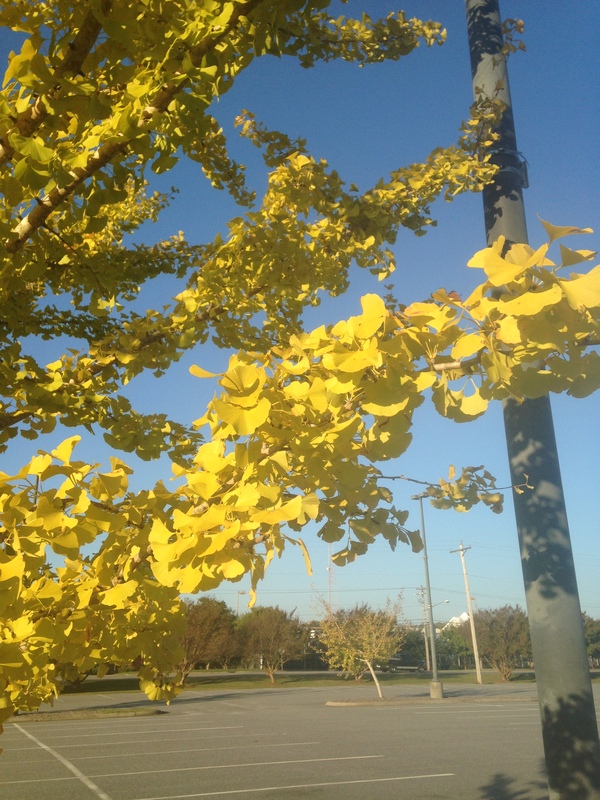 Ginkgoes are a conversation plant. This entry was posted in foraging and tagged anti-inflammatory, butyric acid, China, dioecious, drug interaction, fan-shaped leaves, Ginkgo, Maidenhair tree, medicinal, nutlike, pollution tolerant, seed bearing plants, skin irritant, stem spurs. Bookmark the permalink.